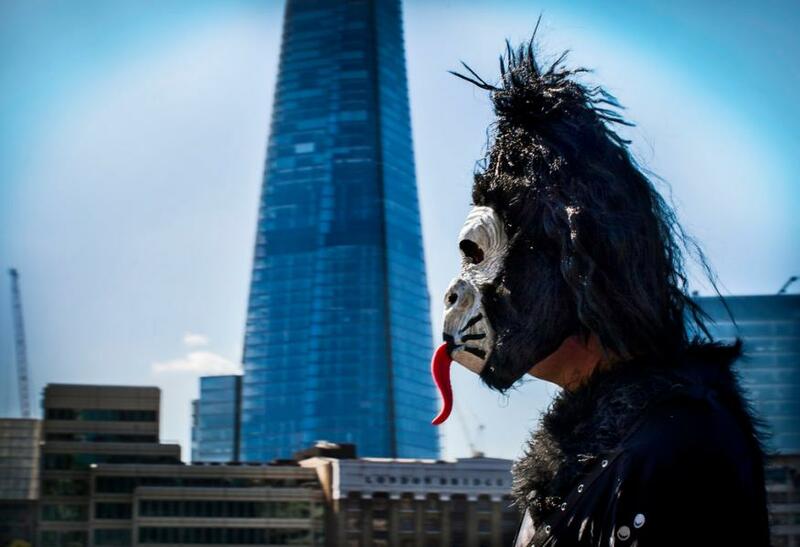 Did you see any hairy gorillas around town on Saturday? Photo by Paul Barber from the Londonist Flickr pool. A man was injured after falling into the path of a train at Twickenham, after the Rugby World Cup's opening game. Paramedics whisked a stabbing victim to hospital on Saturday morning following an attack in Elephant and Castle. HS2 could initially terminate at Old Oak Common when it (eventually) opens. The Archbishop of Canterbury has offered up a house at Lambeth Palace for refugees. A fire broke out at a construction site on Poland Street: shoppers were treated to the sight of four engines tackling the blaze. Ew: a bin lorry has overturned and spewed its load all over Staples Corner. A plaque dedicated to Lee Rigby will be erected in Woolwich. Looking for Hole in the Wall Passage, and the Cato Street conspiracy. Diamond Geezer spots a new creation from TfL's Department Of Additional Health And Safety Notices.